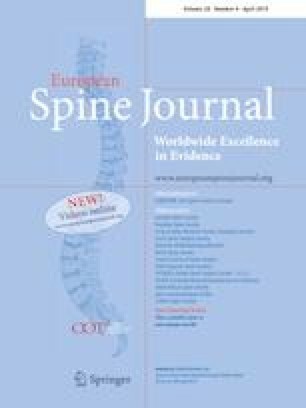 Application of AOSpine subaxial cervical spine injury classification system to explore the optimal surgical decompression timing for different types of traumatic cervical spinal cord injury (CSCI). A single-center prospective cohort study was conducted that included patients with traumatic CSCIs (C3–C7) between February 2015 and October 2016. After enrollment, patients underwent either early (< 72 h after injury) or late (≥ 72 h after injury) decompressive surgery of the cervical spinal cord. Each group was divided into A0, A1-4, B, C/F4 and F1-3 subgroups. The primary outcomes were ordinal changes in the ASIA Impairment Scale (AIS) and the Spinal Cord Independence Measure III (SCIM version 3) at a 12-month follow-up. The secondary outcomes included length of hospital stay, postoperative neurological deterioration, other complications and mortality. A total of 402 patients were included. Of these, 187 patients underwent early decompression surgery, and 215 patients underwent delayed decompression surgery. Statistical results included the following comparisons of the early vs late groups: AIS improvement ≥ 1 grade (combined groups: P < 0.0001; A0: P = 0.554; A1-4: P = 0.084; B: P = 0.013; C/F4: P = 0.040; F1-3: P = 0.742); AIS improvement ≥ 2 grades, P = 0.003 for all groups; SCIM version 3 (combined groups: P < 0.0001; A0: P = 0.126; A1-4: P = 0.912; B: P = 0.006; C/F4: P = 0.111; F1-3: P = 0.875). Type A and F1-3 fractures are not required to undergo aggressive early decompression. Type B and type C/F4 fractures should receive early surgical treatment for better clinical outcomes. Yong Fan and Jin‑Peng Du are both considered to be the first authors. The online version of this article ( https://doi.org/10.1007/s00586-019-05959-6) contains supplementary material, which is available to authorized users.